A new report claims that Beats Electronics was supposed to have a new Wi-Fi home speaker in time for Apple Music. Here's what went wrong. A new report in Variety claims that Beats Electronics was working on a Wi-Fi-connected home speaker that could be used to stream music directly from the Internet. This new Beats speaker was intended as part of the larger home entertainment strategy involving Apple Music, the new streaming service that Tim Cook announced earlier this week at WWDC. But Apple killed the product before its expected release date: the 2014 holiday season. Without the new Beats speaker, however, that strategy is currently in “limbo,” according to unnamed sources. Apple acquired Beats (the headphone maker and the streaming service) for $3 billion in 2013. According to Variety, Beats was overly ambitious trying to develop a loudspeaker that could connect to the Internet and other devices not only via Wi-Fi but also via Bluetooth and NFC. That would make the Beats speaker able to start playing music automatically as soon as you (and your iPhone) entered the room. This super-speaker would cost somewhere around $750, and Apple hoped it could be a powerful competitor to Sonos’ well-established Wi-Fi speakers. 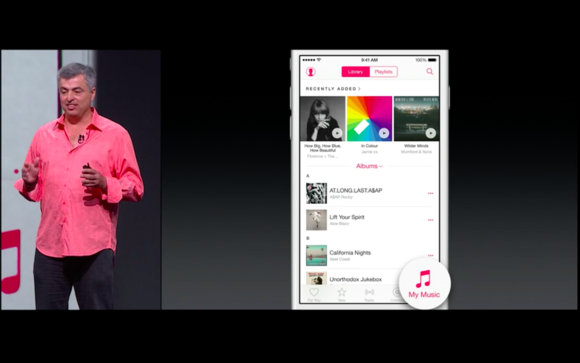 Cupertino originally wanted you to stream Apple Music on an all-new Beats home speaker. But no. The problems started early in the product’s development phase, when Beats decided not to partner with chipmakers and tech providers to pull-off Wi-Fi, Bluetooth, and NFC capabilities, opting instead to try to build all this technology in-house from scratch. According to Variety’s sources, Apple killed the product after issues kept surfacing and release dates kept being pushed back. Other sources closer to Apple claim that the product is “on hiatus due to a joint decision” by Apple and Beats brass. Regardless, this new Beats super-speaker won’t be here in time for Apple Music’s big launch on June 30. According to LinkedIn, some Beats execs and engineers who were originally working on this new speaker, including the chief product officer and the head of loudspeaker engineering, have left the company in the last few months. Why this matters: Apple’s longtime strategy of using new software to drive device sales has been very successful. So it makes sense that when the company acquired Beats, it saw the same potential: a solid hardware maker at heart with its own built-in streaming service. Just last week, however, Apple voluntarily recalled 233,000 Beast Pill XL speakers because of overheating issues with the battery. The product has since been removed from the Apple Store website. With forthcoming launch of Apple Music and lowered confidence in Beats’ devices, it seems Cupertino could be starting to “forget about Dre.” One source told Variety that about 50 percent of Beats employees have left or lost their jobs since the Apple acquisition.